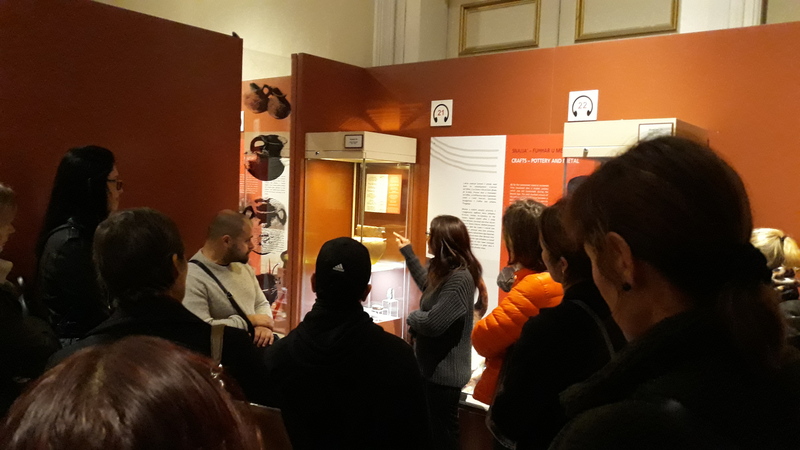 On Thursday 17 January 2019, a group of Malta Society of Arts clay modelling students and friends attended a private guided tour at the The National Museum of Archeology, Valletta. Ms. Sharon Sultana, museum curator, explained how throughout the Early Neolithic, Bronze Age and Punic era clay was employed to create elements used for ritual as well as for everyday functional use. It is as if pottery excavated from archaeological sites ‘speaks’, divulging important information on past communities. With the on-going advances in technology, scientific re-analysis of museum pottery artefacts keep ‘speaking’ improving our knowledge of our ancestors. This collaboration was essential for the students as it gave context to the medium they manipulate during the 12 week course with tutor Nadyanne Mangion.